Castle Woodwarf is a fun and challenging base building game with nice pixel graphics and good visual effects. You first build a thriving dwarf community and gather resources, food and materials. Also lumber and gold so you can purchase new upgrades. You can hire a Lumber dwarf who will automatically chop down trees for wood. Or some other worker like Fisher dwarf. As you progress in the game you will upgrade your workers or other aspects of your settlement, which will improve your resource collection etc. Good management skill is important for this game, good luck and enjoy! 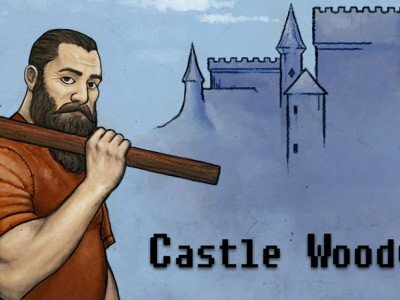 You can play Castle Woodwarf free online shooting games at fogames. It has tags: Strategy,Base Defense,Dragon,Building. It has 1864 total plays and has been rated 84% (14 like and 2 dislike), find the fun and happy day. If you want to play more shooting games, we find some of the game: Castle Clout 3, Crush The Castle Players Pack, Castle Crashing the Beard and Crush the Castle. To play other games, go to the strategy games page, the base defense games page, or just check out the new games or best games page. Play Castle Woodwarf online games, Fun and Happy.